NOTE THE EARLIER START TIME – 7:00 PM!!! This show starts at 7:00 pm!! 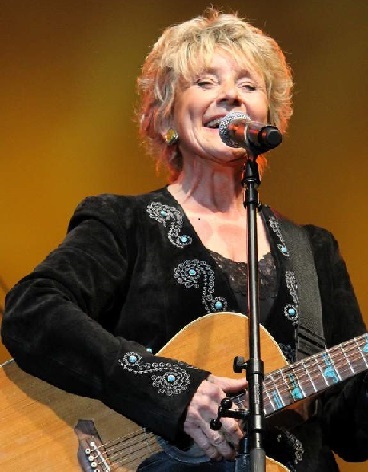 Lacy J. Dalton is a country singer and songwriter whose career that has spanned many decades and touched the hearts of millions of music fans. In March 2017 Lacy J Dalton was inducted into the North American Country Music Association International Hall of Fame. She’s one of the most instantly recognizable voices in music – the woman People Magazine called “Country’s Bonnie Raitt”. From the first time Lacy J Dalton caught the public’s ear, that soulful delivery, full of texture and grit, has been a mainstay of Country Music. When you sit to listen to a Lacy J Dalton album, you find yourself pulled in by the very power and heart of this vocalist, because she’s not merely performing a ten-song set, she’s bringing each and every tune to life. It’s as if they were all written especially for her. Prior to signing with Harbor Records in 1978 as Jill Croston, she like many before her, held many jobs to survive and support her family. As a truck stop waitress and singer, she would wait tables and then jump on stage to sing a few songs. Her hard work and dedication paid off in 1979 when she was awarded the Academy of County Music “Top New Female Vocalist of the Year”. Then in 1980 Lacy J Dalton was signed by Columbia Records and quickly rose to national prominence with “Crazy Blue Eyes”, written together with her longest friend, Mary McFadden, a song that raced to #7 on the Billboard Country Charts. Lacy’s success was powered not just by the artist’s recordings, but by a stage show that truly electrified audiences. She quickly became one of the few women who could successfully open a show for the likes of Hank Williams, Jr, Willie Nelson, Merle Haggard or Charlie Daniels. Not only could she do it, but she left audiences across the country hollering for more. Her hit records are legendary million-airplay cuts: “Hard Times”; “Crazy Blue Eyes”; “Hillbilly Girl with the Blues”; “Takin’ It Easy”; “Everybody Makes Mistakes”; the worldwide hit, “Black Coffee” and her signature song, “16th Avenue”, the Anthem for Nashville songwriters voted one of Country’s Top 100 Songs ever by Billboard Magazine. Awarded Best New Female Artist by the Academy of Country Music in 1979, she also brought home numerous Grammy nominations and 3 prestigious, back to back (1979, 1980, 1981) Bay Area Music Awards for Best Country-Folk Recordings. Appearing on those shows with the likes of Neil Young, The Grateful Dead, Grace Slick and the Jefferson Airplane. She continues to record and perform. As an independent artist , Lacy has released three albums, “Wild Horse Crossing” on her own label, Song Dog Records in 1999. The “Last Wild Place Anthology” went #1 on the World Independent Chart, a year later the CD went #1 on the American Western Music Chart, and then Allison Eastwood, Clint Eastwwood’s daughter, used the hit song “Slip Away” from the Anthology CD on the sound track of her independent film, “Don’t Tell”. In 2010 she also released, a tribute to Hank Williams Sr, entitled, “Here’s To Hank”. Dale Poune great supporting vocals and guitar and mandolin makes this a great duo show you won’t want to miss!